Take our Annual Member Survey and you could win a $200 driving credit! 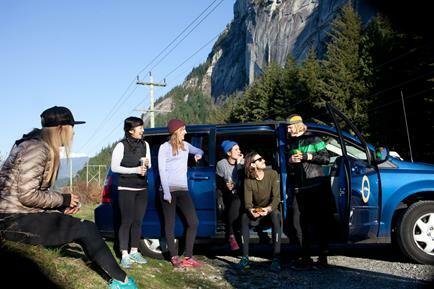 "I'm happy to say that with an assist from a very capable Toyota Camry and more trips on BC Ferries than I typically make in a year, I shared a stellar #microadventure with a couple of good friends." Inspired by the #microadventure, Naomi D. and a few friends decided to see how many Gulf Islands they could visit in a day. It's ambitious and as folks whose main mode of transport is cycling, it's something they couldn't have attempted without a car. Read Naomi's guest post on our blog and find out how Modo's arrival in Victoria helped her and her friends travel to two beautiful parks, and tackle four unique hikes in one day. Have you ever had trouble with our fuel cards? 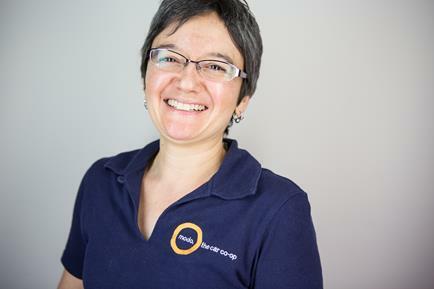 This month, Mona is sharing her tips to ensure success at the pumps! Click here for her Top 5 ways you can make fueling up quick and easy, plus find out Mona's favourite place to Modo. Her Top Tip? Throw away all those gas receipts! We need your help! Feedback from members like you helps us understand how we can continue to provide you with the best service possible. Please take 5 minutes now to complete our short survey. 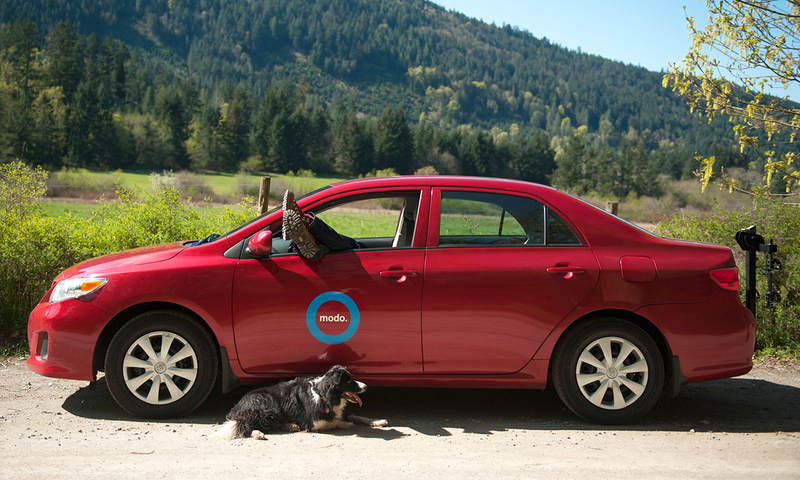 Give us your honest feedback before June 1 for your chance to win a $200 driving credit! Farrell is one of our finest Fleet Technicians and works with our vehicles every day making sure they're in tip-top shape for your bookings. Every month, we'll be sharing his stories from the road (and some helpful insider tips!). 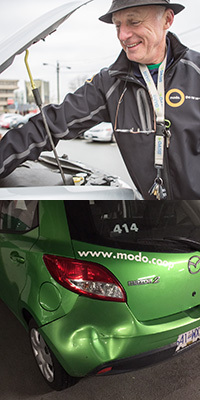 While Modo's vehicles start off new and undamaged, we understand that scratches, dents and damage occur accidentally. So how do we solve these problems? Sometimes we start with stickers. What's a fault condition? It's any issue that causes one of the dashboard lights to turn on. Read our Top 5 list of common fault conditions and find out exactly what those lights mean. >> FUEL CARD You've read Mona's tips, now watch our fuel card in action with this video. >> CO-OP RADIO Vancouver Co-op Radio is moving back to the heart of the city and you can help! >> 6 AMAZING HIKES Modo to mountains on the long weekend with our list of 6 amazing hikes in Vancouver. Look for stories and shout-outs from happy Modo members every month! "You guys are GREAT!!! It was so easy to use the service. Don't need to look for the car key, no paperwork after! Brilliant! I was looking at buying a car this summer, but you've changed my mind!" "I love your company and great service. When I need help, your customer service is 5-star. Really responsive and great support." and celebrate 20 years of farm to table goodness! CAR CHANGE: Our Metroplace truck is now a 2015 white Nissan Frontier (#645) instead of a 2014 silver Frontier. UPGRADE: At 22nd Street SkyTrain, a 2015 white Toyota Prius V (#686) has replaced the 2012 Toyota Matrix. NEW LOCATION: Find the Grosvenor & King George car, a 2008 grey Nissan Versa hatch (#638), in a designated stall on Grosvenor Road, in the parking lot at the northeast corner of King George Hwy & 108 Avenue. CAR CHANGE: Place Vanier now hold a 2014 grey Toyota Prius C (#648) instead of a 2014 Prius V.
NEW LOCATION: Yu contains a 2014 white Toyota Prius V (#563) in a designated stall in front of 5933 Birney Avenue, at the corner of Birney & Shrum Lane. FLOATER: At Woodward's, a 2015 red Nissan Versa Note (#596) has temporarily joined the Mazda 2 while we wait for its permanent home to be ready. LOCATION CHANGE: During the 2015 FIFA Women's World Cup, we'll lose access to our parking stalls at Stadium SkyTrain. Between May and July, our Stadium cars will move to other parking lots in the area. NEW LOCATION: The Cordovan at 557 East Cordova Street has a 2015 red Toyota Prius C (#651) in the rear laneway. Find it between Princess & Jackson Avenue. UPGRADE: Laurel is now a 2014 blue Toyota Prius C (#646) instead of a 2007 Yaris. ADDED CAR: A 2015 grey Nissan Rogue (#583) has joined the Toyota Prius C at Lido. CAR CHANGE: Albatross now holds a 2009 red Toyota Yaris sedan (#633) instead of a 2010 Nissan Sentra. LEAVING LOCATION: We've lost our parking stall at Marine Drive SkyTrain and have been floating the minivan at a few different spots while we search for a replacement. UPGRADE: Our China Creek Co-op car is now a 2013 green Fiat 500 (#641) instead of a 2006 Toyota Yaris. UPGRADE: E 11th & Watson now contains a 2014 white Toyota Prius C (#647) instead of a 2010 Prius. ADDED CAR: At Kingsgate Mall, a 2010 red Nissan Versa hatch (#634) has joined the pickup truck and 8-passenger Kia Sedona. NEW LOCATION: W 19th & Manitoba is a 2014 blue Toyota Prius C (#644), parked in the unit block of W 19th Avenue, between Manitoba and Ontario Street. UPGRADE: After a couple months' vacancy, 1339 Barclay @ Jervis now contains a 2010 blue Nissan Versa hatch (#636) instead of a 2007 Toyota Yaris. CAR CHANGE: After a couple months' vacancy, Villa Cardello now contains a 2010 white Nissan Cube (#630) instead of a 2009 Nissan Versa. UPGRADE: Our Highbury truck is now a 2010 blue Mazda B2300 (#280) instead of a 2007 Mazda B3000.